Are you looking for an experienced and knowledgeable legal advocate? The Mark Luther Law Office is a premier provider of legal services dedicated to providing clients as yourself with a swift and favorable resolution of your legal concerns. 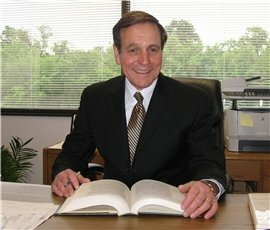 As an attorney in private practice with extensive litigation experience involving criminal, traffic, family law, collections, personal injury, and business litigation, you can be sure that no matter how simple or complicated your case can be, you will receive exceptional legal assistance. With over four decades of dependable service to countless individuals, families, small businesses, and others in need of legal assistance, the Mark Luther Law Office will help you navigate the legal system on your behalf. Whether your concern is a family matter, divorce, an arrest, an injury, or needing to collect money owed to you, the Mark Luther Law Office will give you the full attention you deserve. The Mark Luther Law Office can give you representation in Minnesota state, Federal, and tribal courts. Regardless of how big, small, simple, or complex, Mark Luther will provide you with highly reliable and knowledgeable legal services. His aim is to provide you with a speedy resolution for your legal concerns. Your matter will be given the full attention it deserves and he will pursue all remedies available to you under the law.